In other words, ‘What do you want them to know?’ Before you meet with your leaders, think about the opportunity you are being given. Make sure you name that opportunity. Are you going to invest, cast vision and/or inspire? Whether the meeting is 30 minutes or 3 hours, know what you want your team to learn because of your time together. In other words, ‘What do you want them to do?’ If you can’t answer this question, it means your meeting is lacking vision. It might also mean you are meeting out of pride (you just want people to listen to you) or control (you feel the need to micromanage). If there is no tangible takeaway (even team bonding), then why are you meeting? Create an agenda that puts together a path for the meeting time, even if you are only covering one topic. This way people can come to your meeting with expectations and conversational tangents are less likely. Make it your goal to email out the agenda ahead of time, so that no one is surprised walking into the meeting. This seems like common sense, but it seems that this is commonly forgotten. If the meeting is going to have conflict or tension, if you are going to need creativity and brainstorming, why wouldn’t you want God at the focus of your meeting? Again, it doesn’t have to be anything crazy, just something that honors God and brings Him to the front of people’s minds. It’s just common courtesy. Meetings that start late and run long are signs of disorganization and a lack of respect for other people’s time schedule. I know there are situations where you need to wait for someone important to show up, but don’t delay the end because of someone’s error. If the meeting looks or needs to go long, schedule a follow up meeting. 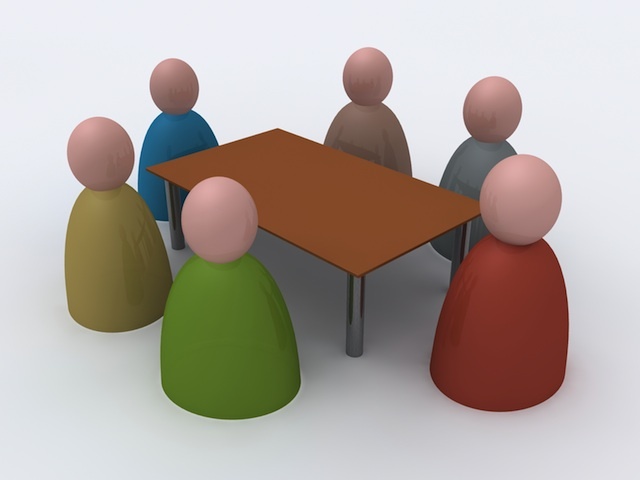 Even if people do not like going to meetings, they’ll appreciate effective meetings. The worst thing we can do is play it by ear and go with the flow. I know it’s a little more work, but you won’t be as worn out or reluctant if you take the time to consider these questions and steps before you invite people to meet.